Travis T. Tygart became USADA’s Chief Executive Officer in September of 2007. In his 15 years working with USADA, he has also served as the Director of Legal Affairs and as Senior Managing Director & General Counsel, during which time he prosecuted cases on behalf of clean athletes before the American Arbitration Association and the Court of Arbitration for Sport. As CEO, Tygart works closely with the USADA Board of Directors to carry out the organization’s mission of preserving the integrity of competition, inspiring true sport, and protecting the rights of clean athletes. Tygart has also reached out and made himself available to many Olympic athletes, embracing them as an essential part of the fight against doping. Having originally joined USADA in 2002, Tygart was actively involved in drafting the USADA Protocol for Olympic Movement Testing, and has testified on the use of performance-enhancing drugs in sport in front of various Committees of the U.S. Congress, including the Senate Committee on Foreign Relations. Internationally, Tygart has testified in front of Committees of the European Union, the German Parliament, and the French Senate about the issues surrounding doping in sport and creating effective anti-doping policy. A lawyer by training, Tygart has also published numerous papers and law review articles on various topics, including Title IX, antitrust, and doping in sport. He has also spoken about the need for hGH testing in all sports, regulation of the supplement industry, and the ratification of the UNESCO International Convention against Doping in Sport. 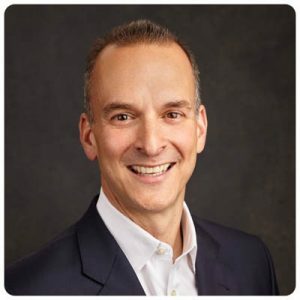 In addition to his work at USADA, Tygart currently serves on the Board of Directors for the Sports Lawyers Association and on the Board of Governors of the Partnership for Clean Competition. He has previously served on other committees and boards, including the Society for Major League Baseball Strength and Conditioning Coaches, the House Government Reform Committee’s Zero Tolerance Roundtable, and the Institute of National Anti-Doping Agencies. He was also appointed by the World Anti-Doping Agency as the Vice-Chair for its Independent Observers Team, which monitored the doping control and legal processes at the 2008 Summer Olympic Games in Beijing, China. Over the course of his career, Tygart has been recognized by Sports Illustrated as one of the 50 Most Powerful People in Sports, named to the TIME 100 list of Most Influential People in the World for 2013, and deemed one of the Top 12 World Sports Personalities of the Year by Sport Intern. He has also been named one of the World’s Most Influential Sports Personalities by Inside Sport, and as one of the Colorado Lawyers of the Year by Colorado Law Weekly. Originally from Jacksonville, Fla., Tygart graduated from the University of North Carolina at Chapel Hill with a BA in philosophy, and in 2010, earned the University’s Distinguished Young Alumni Award. Tygart went on to earn his JD from Southern Methodist University in 1999, graduating Order of the Coif, and in 2014, he was recognized as one of its Distinguished Alumni.